In this photo standing at the far right side in a dark dress is Celestina Rodríguez Peña, the teacher. Click here to read a compelling Recuerdo about her. 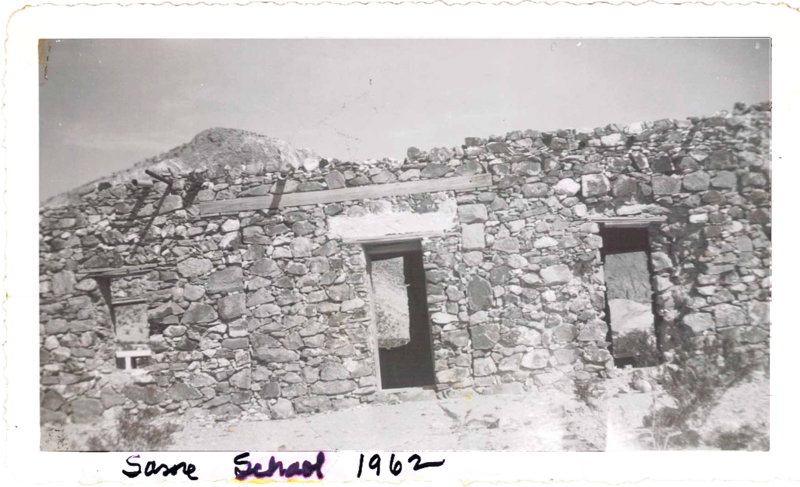 This was the school house in Terlingua (Chisos) before the Perry School was built to replace it in 1930. Three of Dolores and Luisa García's children appear in the photo: Altagracia (b. 1907), Natividad (b. 1908) and Gregorio "Gollo" (b. 1910). Altagracia and Gollo scratched their faces off the photo. Natividad is the mother of Louisa Franco Madrid who contributed this photo. 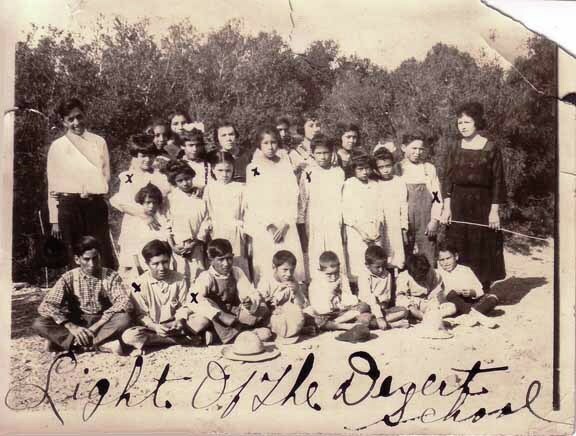 This photo may be about 10 years before Miguel was bringing his children to this school, the Study Butte School. Read about Miguel's 1930 car. 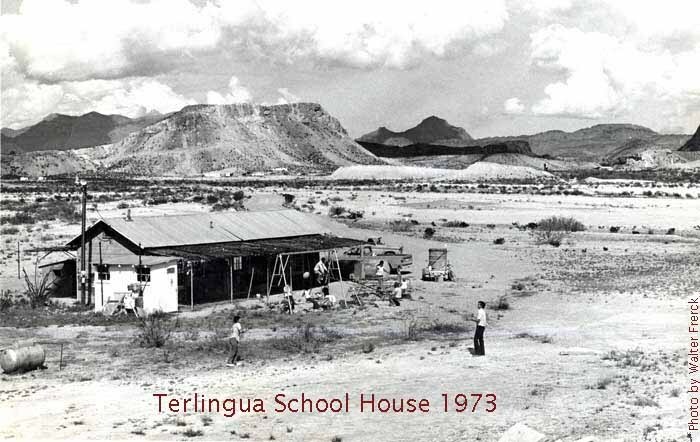 Trent Jones was the Terlingua teacher in the 1970's. 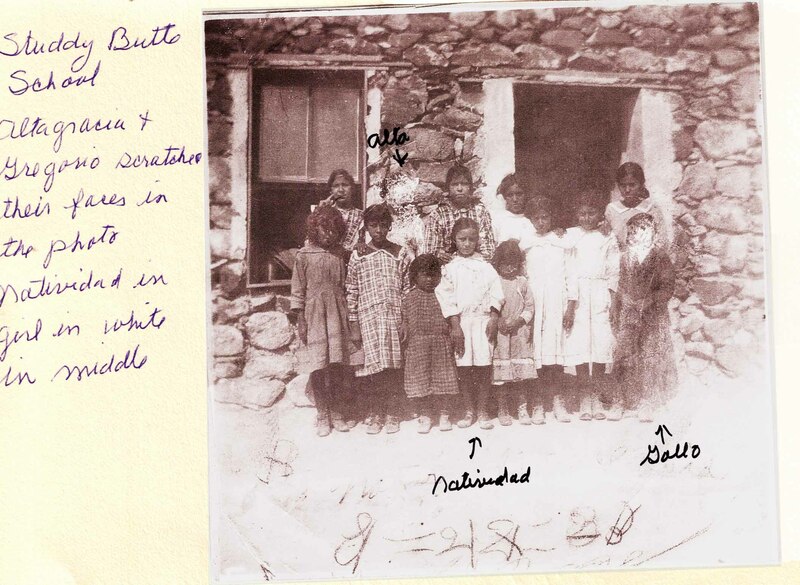 His school was featured in several national publications because it was the last one-room school house in Texas. Note: We hope to make this a very large section of Familias de Terlingua over time. 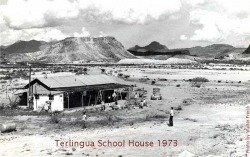 Send us what you have on schools in the greater Terlingua area: the names of shcools, photos, and stories. In the meantime, see if you can identify people in the pictures above and let us know who they are.